At Harry Clark Plumbing & Heating we specialize in repiping for your home. Repiping is the process of replacing the hot and cold water lines in your Bay Area home. 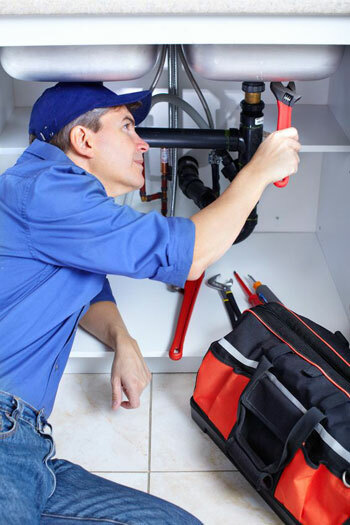 We want to ensure that each and every home we go into has the proper plumbing services provided. If you notice that your pipes have begun to show wear, then you may need to have your pipes repiped. If your home is over 50 years old there's a possibility that the pipes in your home were made from galvanized steel which has a life span of about 50 years. If you notice low water pressure or discolored water, it usually signifies rust and mineral buildup. As rust and minerals build up over time, they constrict the flow of the water which is why you may notice lower water pressure. The discoloration happens when rust becomes loose from the pipes and flow into your water supply, affecting the water quality. Having plumbing pipes that have rust or corrosion can become a health hazard in your water. Recurring pipe leaks may be a sign that it is time to replace the entire system. This may sound daunting and overwhelming but doing this will more than pay for itself as you won't need to have constant repairs and you will lower your water bills. There are two types of piping that are used in the repiping process. Copper piping and PEX piping are used because of their cost, efficiency and safety. Copper piping prevents bacteria from growing inside of the pipe providing healthy drinking water. PEX piping is made from a plastic material that is both flexible and lightweight. This material is resistant against corrosion and will help improve water pressure. The process of repiping usually takes a couple of days, and we try to do the bulk of the work while you are out during the day as the water must be shut off. This way, you will only experience minimal disruptions to your day during the process. First, all furniture and carpets in your home will be covered to protect them from any dust and debris. Then, small cuts are made in the walls and drywall to access, remove and replace the existing pipes. If any other renovations such as expanding the water system, or installing a tankless water heater are requested, those will be done at this stage. Finally, the drywall and other materials are repaired, and patched so it looks just as it did before. Having your plumbing repiped can save you money and time as well as protect your health in the future. Whether you need a small amount of repiping done, or a complete home repiping, we can help! Protect your water today with repiping services from Harry Clark Plumbing & Heating today. We proudly provide our plumbing repair and installation services throughout the Bay Area including Oakland, CA, Berkeley, CA and surrounding communities - contact us today!